What are the top destinations in Chile? The top destinations in Chile are some of the most uniquely marvelous places in the South American continent. Chile itself seemed to be one of the few countries in the continent that has its own stand-out novelty. This nation is more than just a land known for its cheap wines (as far as the stereotype goes). Chile has been identified for its strict conservative ways and workaholic character that the locals generally have. To some extent, one may consider Chile to be an extreme polarity of Bolivia. While the indigenous people are at the core of Bolivia’s society and culture, in Chile the center of civilization is its Spanish heritage. The natives of Chile are considered outsiders in the society in the same way Bolivians think of their mestizo citizens. Being one of the top destinations in Chile, Easter Island seems to be an environment completely apart from the rest of the country. What is so fascinating about this atoll is not only its distance from Chile’s southern Pacific shores but also its alien heritage. 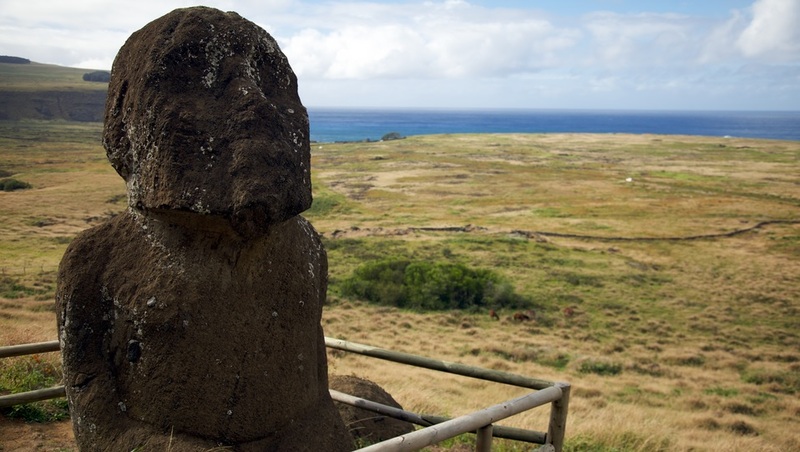 The Moai statues of the island are the crowning masonic achievement of the Polynesian tribes, a group of people that came all the way from Oceania (particularly Tahiti). Easter Island is the most ideal place for people who are seeking a very unique environment, even for the Chileans themselves. Another of Chile’s very unusual environment is the region of Valle de Luna. It literally translates as “the valley of the moon” in Spanish and there is a very obvious reason why it is called that way. This region makes a perfect natural environment for creating science fiction movies – arid, abandoned and “alien”. Geologists concluded that the creation of this environment is caused by intense weathering even before prehistoric times. While Valle de Luna appears to be drab and ghastly monochromatic, the town of Pucon is an environment filled with bright stark colors. This is one of the most visited of the top destinations in Chile. This location not only features heart-warming scenery, it also contains a wide array of enjoyable vacation activities. Here in Pucon one can enjoy fishing, watersports, kayaking along the wonderful lake of Lake District; or go for horseback riding and hiking all the way to majestic Villarica Volcano via the vast sea of trees covering its foothills. Anyone interested about the Mapuche natives should stay in Chiloe Island. It is here where one can find a more tolerant society that does not look down on Chile’s original inhabitants. What makes this island special is its peaceful prairie atmosphere where a number of Jesuit churches are strewn all over the island vicinity.